Food is a reflection of the local Dayaks connection to the land of the hornbills. The early Dayaks never sought to possess the land and their ‘adat’ or customs taught them that they were the caretakers of the land that they live on, preserving it for future generations. According to Karen Shepard from Tanju Bistro, for the Dayaks, the land is both their heritage and their assurance of their own continuation. Cultivation is not part of their mindset and they do not seek to change or exploit the land for their own purposes, instead they see what the land has to offer them and share in it. “The jungle gave them everything they needed – boar, fish, chicken, deer, snake, squirrel, birds, ferns, tubers, young leaves, fruits, medicine and even poison. The jungle gave them the food when they’re hungry, it gave the needed equipment to make a house, and provides them with clothes on their backs. With Sarawak being a tourist destination, this opened up opportunities for small businesses to monetise the cultural aspect of the Dayaks for not only foreigners but locals as well. With food being an integral part of any culture, the Dayaks are known for interesting cuisines like the ‘ulat mulong’ or sago worm, to ‘jani kasam’ which is salted preserved pork or boar. These items are not only considered a delicacy, but some very specific to the Dayaks of Sarawak. Another interesting facet of the local Dayak cuisine is the importance of the freshness of the ingredients. Being hunter-gatherers, the traditional Dayaks would scour the jungle for produce that they could find, meaning that the ingredients were always fresh. This is something which is hard to emulate in the urban environment due to the rarity of certain herbs and vegetations. To monetise this aspect of the Sarawak culture, some entrepreneurs would dive into the jungle themselves looking for these ingredients while others would create business opportunities for those in the rural area by striking a deal with them to supply these needed ingredients. Others would venture into something more interesting and create a fusion of traditional and modern ingredients and a east-meets-west style cuisines. BizHive Weekly takes a look at what some of the local businessmen and women are doing to not only educate the foreigners on the local customs and cuisines, but also remind the locals of the diversity of the land that they stay on. Vernon Kedit is no stranger to the cuisine world. Educated in Britain prior to working in a few of the world’s top cities such as New York, Los Angeles, and Australia, the culinary artist has always had a soft spot for the local food he grew up with. The inspiration behind his move to create the Dyak came about from the lack of a Dayak restaurant, he said. “When I came back to Kuching I noticed that we had very good cuisines – Chinese, Indian, even French, Italian and Mongolian. 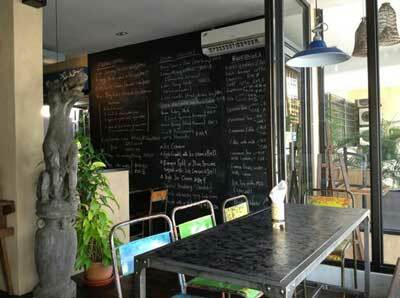 But we don’t have Dayak cuisine,” he enthused to BizHive Weekly. Vernon also noted that many tourists would source for Dayak food upon coming to Sarawak as it is the culture for visitors to immerse themselves culturally when visiting a state or country. 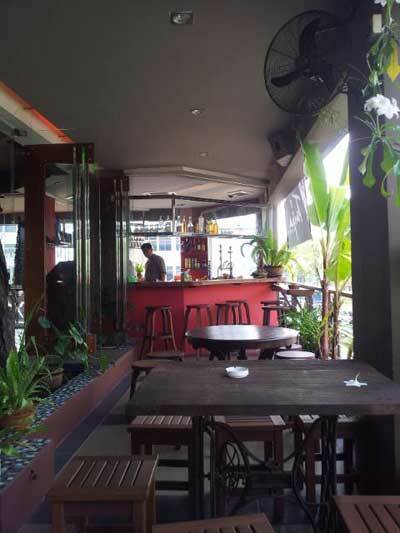 Upon the inception of the cafe on October 28, 2011, Kedit explained that a large majority of his clientele were locals because they find Dayak food completely different from Chinese or Malay food. “What they (the locals) find interesting is that its healthy, the taste is different, and last but not least, its more fresh because that’s how Dayak food is, there is also less oil. 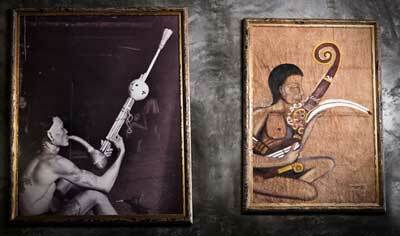 “You also have the tourists, and I would say 99.99 per cent is amazed by Dayak food. They described it as subtle and totally unexpected (in a good way),” he explained. Being in the industry for many years, Kedit stated that, to make the Dyak different, he upped the ante and raised the level from regular ‘kampung’ food, to a cuisine. “I call myself cuisine rather than fine dining, as fine dining implies silver service and the reason why we call it a cuisine is because we prepare the food to a standard that is on par with international palate and as such, we even hired a professional international cuisine chef. “So what I do is I give him the traditional recipes and he then enhances it by introducing culinary techniques and thus making it a cuisine. “For example, sometimes in the longhouse when they cook they fry it for too long whereas french style you saute which is very fast so you keep the crunchiness and flavour of the ingredients without sacrificing the authentic flavours. “When I first started work, my first job was being a waiter in London and as you can expect the standards for service is extremely high. I learned silver service as a method of service – ingrained into me the minute nuances that makes up silver service,” Vernon explained. To add to the overall feel of the place, Vernon noted that the layout of the Dyak is exactly like a ‘bilik’ in a longhouse. “We have the ‘Tanju’ or balcony area outside, the ‘Ruai’ or common lounge after that, and the ‘bilik’ or room inside. Now every longhouse you go to the first thing they would do is the ‘nganchau tikai’, a local custom to lay out the rattan mat for guests which is something we offer at the ‘ruai’ area of the restaurant. The next thing would the the ‘tabak baku’ to welcome the guest with,” he explained. “This is a very specific custom and it is something the Westerners do not identify with. A lot of Ibans that visited the restaurant have identified and appreciated the effort to keep the Iban culture especially the lesser known ones like the ‘tabak baku’,” he enthused. Kedit noted that unlike a traditional business, he did not just want a restaurant that sells Dayak food, but instead wanted a restaurant where the diner get the full experience of the Dayak culture, customs and hospitality. “We Dayaks are very service oriented. The reason I say this is because if you go to a longhouse, you get to see the hospitality,” he affirmed. In terms of the pickup rate for the business, Kedit’s establishment has set itself as a landmark and commenting on this success. “Ever since the opening, the pick up rate has been great with an almost immediate response upon opening as I’ve aggressively advertise on social media networks, blogs as well as word of mouth about the restaurant. 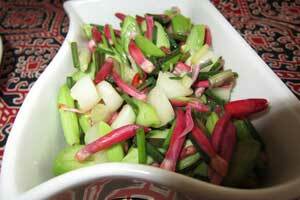 Due to the nature of Dayak food, the ingredients could be very hard to find and like it or not, it has to be fresh. Kedit highlighted that some of the ingredients you simply cannot get in Kuching, because it is very traditional long house ingredients. Thus to get those ingredients, he would visit the longhouses every weekend and plough back into the community. “I go back to the longhouse, update them on the herbs I need and ask them if they could plant and provide the herbs for me, and I’ll buy if off them by the kilo. This way, not only do I gain the supplies I need for the business but I also stimulate small local businesses as well,” he said. “This is also another area where I feel I gain an advantage as despite more Dayak-based restaurants popping up, I am still able to use traditional ingredients. Coming from five generations of Eurasians, Sarawakian-born Karen Shepard moved back to the UK for many years before coming back to the land of the hornbill five years ago. Starting out as a teacher here, the idea for Tanju Bistro only came after Shepard met her partner, Peter John. Shepard also referred to the decorations on the walls of Tanju, with an arc made by the ‘Orang Ulu’ matched with plates considered Iban artifacts despite being made by the Chinese. “That is what Sarawak is about – it is a mixing pot of all the cultural influences throughout its colourful and diverse history,” she affirmed. Shepard explained the process of deciding on a day’s menu: “What we do is that we go to the market everyday and see what’s interesting. “Sometimes to get certain ingredients that we need, Peter would have to go into the bush and gather it himself meaning that our menu is always changing, which is a very western idea strangely, but also a tradionally Iban idea as traditionally the Ibans would live off the jungle and being gatherers, they would not know what they would find which is exactly the approach that we want,” she said. “We want the best and freshest ingredients to be used in this restaurants so if there’s durian flowers, we make durian flowers, obviously there would be things that recur but again some are seasonal like ‘dabai’. The couple also noted that even they way of cooking the food has to be observed. For example, Peter said to cook a ‘rebung’ some people would just cut it then cook it directly but this isn’t the right way. Peter noted that Tanju emphasised on the harder-to-get vegetables from the jungle as its main focus. The couple explained that aside from the nourishment aspect of things, they also wanted to teach people things about the land that they live in which they cannot find anywhere else. “It has been a great learning experience going to the market every morning and finding vegetables I’ve never seen before, and I think its common for the Chinese that come here – seeing the vegetables that they’ve never seen before but actually these are indigenous to the land that they live in, and the Ibans have been eating them for years,” Shepard explained. Speaking on the crowd, the couple enthused that there has been a good mix of local and foreigners with majority of the clientele being Chinese especially for lunch. The reason given by them on why the locals frequent Tanju was because if they wanted to eat authentic Dayak food, the locals, especially the Dayaks around have eaten it everyday at home made by their parents, so what they are doing here is something you really cannot find anywhere else. “Something that makes the locals go ‘wow’, something that mum doesn’t make at home. Think of it as the food you know with a twist,” Peter exclaimed. “All these jungle vegetables are not easy to find such as the ‘daun kemunting’, or even when you talk about ‘kasam’, a local version of preserved or salted meats, even ‘kasam daun getah’ we have it here. Some of the Dayaks here have the mental perception where they would weight the option on why should they eat Dayak food when their mothers cook it all the time, so we offer them something that they are familiar with but infuse it with western influence. “We’re trying to apply the same idea to the Western menu as a lot of the western ingredients are not available here and has to be imported. So where possible we try to substitute local alternatives so its fresher. “For example, she had an idea from her friend, where she would mix dabai with italian dressing, it was delicious. Another one recently was shepard’s pie. “So that is basically minced beed with mashed potato as a shepard’s pie would be but instead of using western herbs, we used lemongrass, chili and ginger. “So when we talk about fusion, its because we want to fuse different techniques and also so we can use fresh ingredients that is available here,” she highlighted. 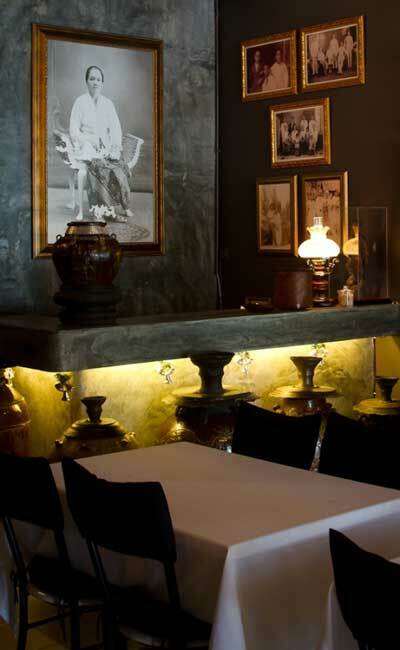 Tribal Stove is the brainchild of Esther Balan-Gala who decided to open the restaurant as she was not able to find readily available traditional Kelabit food anywhere in the city. In speaking to BizHive Weekly, Esther said, “This was one way I felt that we could bring a little bit of the village into the city, so that people can experience the taste of our food and a bit of the highland culture. The food and cooking style at Tribal Stove is strongly influenced by Esther’s Orang Ulu roots, especially from the Kelabit Highland community, where she grew up eating all the food cooked by her Kelabit mother and her sisters, who can work ‘magic in the kitchen’, she said. “The highland style of cooking is common among the Dayak community, be it the Ibans, Bidayuhs, Kenyahs, Kayans, Lun Bawangs, Bisayas, and even Berawans. Most dishes are similar except that they are called by different names,” Esther noted. For instance, a popular Kelabit dish served at Tribal Stove is the Kikid – a traditional soupy rice porridge. The Kenyahs and Kayans call it Leraq. Similar cooking styles are also used to prepare jungle veggies such as the paku (jungle fern), tapioca leaf, ginger flower, bamboo shoots, young cempedak, midin as well as other dishes like Ayam Pansoh, a’beng (fish floss), luang senutung/narar (fish baked in banana leaf or smoked fish), labo senutuq (meats floss) and many other traditional dishes. The interior decoration is very Sarawakian while the soothing music has the enchanting elements of ethnic sounds. The staffs are friendly and attentive. With her credit management background, Esther had the privilege of going on the journey with some clienteles who started off with new business or small business and helped them to package their banking needs as their businesses grew into corporations. The other aspect of opening an ethnic Kelabit restaurant is the desire to bring a piece of her village into the city, hoping that others will find it a hit as part of our 1Malaysia dream, and be able to contribute towards employment opportunities. “I am at a point in my life where I feel I can give my best towards undertaking my dream venture. If I didn’t try my best to make it happen,I would never know if it could work or not. I gave myself three years to make it work,” she explained, adding that it has been a year and a half ago since she opened this restaurant. Esther further added that the crowd coming in was a good mix of locals and expatriates living in Kuching, some customers hailing from Kuala Lumpur, Singapore, and other countires. On the more business front, Esther noted that her field of study theoretically and her work experience gave her some background on the traditional sales and marketing strategy. However, she admitted that she has a leaning towards the blue ocean strategy. “Since I am new in this industry, I believe that the only way to survive is to establish a position from a niche opportunity because the cuisine we offer is unique and different from other restaurants. Apart from that,I still go by my own gut feelingabout what works, base on my own experience or the experience of others who have succeeded in this field. “I keep my eyes and ears close to the ground and take note of any good suggestions from friends, acquaintances and from my own customers. “Our menus are affordable at middle range pricing. That is,we are priced above the hawker food pricing and below hotel food pricing,” she elaborated. “So far,I find it not too difficult to get ingredients from the organic jungle market stalls which are found in a few locations within Kuching city,” Esther noted. 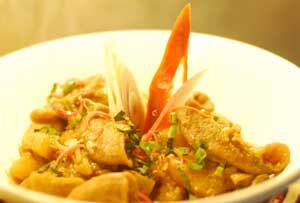 “We can offer other alternative dishes to be cooked traditional style if some ingredients are out of stock. For example, if there are no ‘kucai’ leaf in the market, we can use onion leaf as an alternative ingredient. If the ‘midin’ is not available in the market, we can cook the ‘paku’ or ‘pauh payeh’ (green jungle fern leaves) in the same way. “I make it a practice to give ourselves three lead days to source for the necessary ingredients so that we know what to offer as alternative dishes if the ingredients are not available,” she enthused. Balan has also expressed that it is her dream to expand and turn the business into a franchise. However, she is also aware of the limitations of food ingredients in other cities. The alternative she noted was to focus on the most unique and popular traditional ethnic dishes of vegetable, fish, meat, soup and rice which can be readily found in markets everywhere. “In keeping the restaurant alive and evolving, I always remind myself to stay relevant,stay passionate and creative about the restaurant’s offering,outlook and goals,and to always keep up to date of trends which work for other establish and popular restaurants.